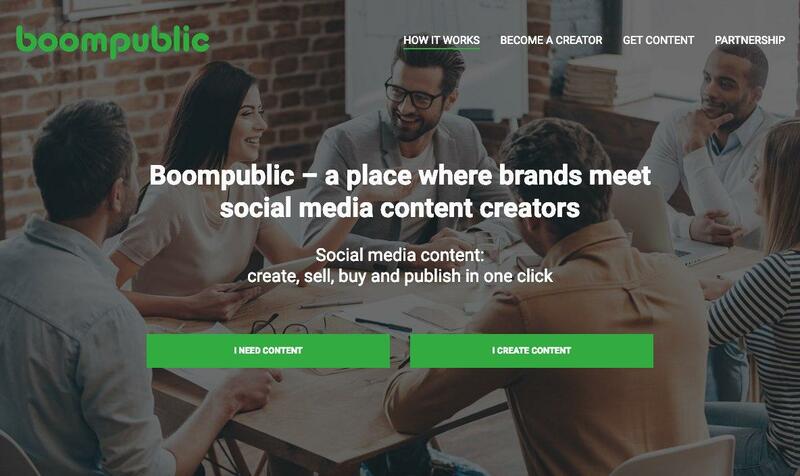 Boompublic is a platform for creating, buying, selling and publishing posts in social media in one click. Let your social content be as unique as you with our team of creators developing content worth sharing — in your style and tone of voice. Choose and purchase the best posts for your business from thousands of talented content creators. Or create content by yourself — and schedule/publish it to all the most popular social networks. We support all international social networks: Facebook, Twitter, Linkedin, Pinterest, Instagram and more!Seamlessly publish to multiple social accounts and keep your social media under control with our calendar. Have very specific visual content format? Create template with our Template Builder. This promo is oriented on users/businesses that want to manage their social media accounts and/or buy content. If you want to create content and sell it on Boompublic — feel free to use it without promocode, you will have no limitations even on our Free plan. So, after some doubts, I’ve finally tried this service. It is kinda hard to start work, because of the lack of tutorials, but after a few minutes, you start to understand how to deal with it. Basically, if you want to create posts, you need to register – and that’s all! If you want to buy posts or publish them to your own social media, you should take an extra step and create a Public page – this page combines all your social media accounts. Basically, authors work not with your account, but with your Public page. And here is the twist – you don’t ask for posts directly (you can only set a content brief). Authors are kinda in a free roaming mode, they are looking for Public pages that they like and offer posts. And you can buy or decline them. I personally got a couple of pretty good posts, so, I guess, it works, even though I have no idea how authors navigate all those Public pages. I’ve tested publishing and scheduling – well, there are things that I would improve UI-wise, but it works, it does its job. So, all in all, I haven’t got that much experience with Boompublic, but I like what I saw. It still needs improvements, but it works, it allows you to buy or create posts and publish them, so I think that I will test it out a bit more and decide whether I will switch to it completely.